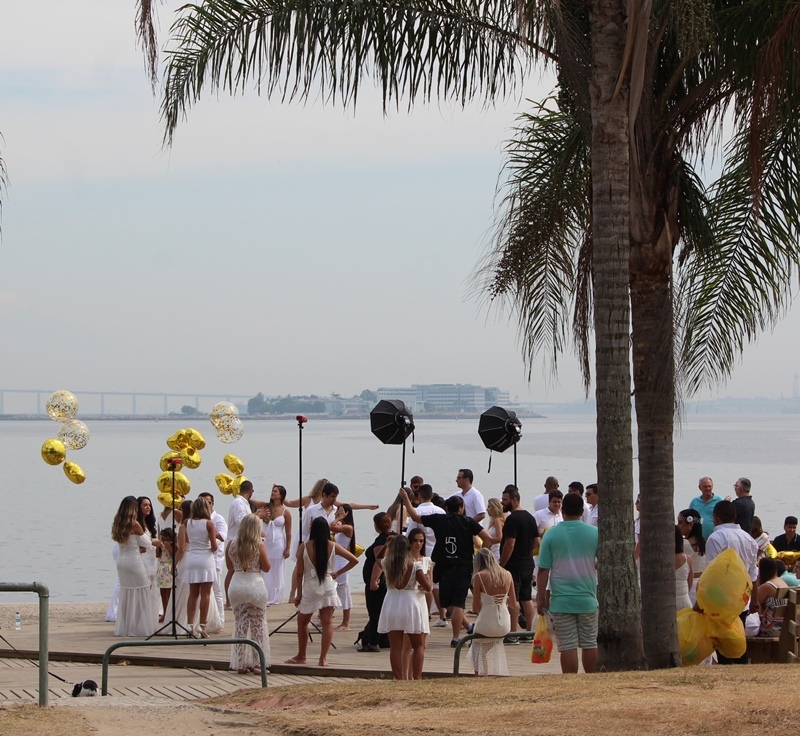 An event in a beach in Rio's downtown. You have capture well the action at the event which seem to be a wedding. The inclusion of the palm trees is an extra to the composition. The point of view is showing the details of their clothings. Have a nice day.